Having sussed out my local MAC counter was one of the only ones left with all the Strength collection lipsticks in stock I hot footed it there for a spot of light swatching. 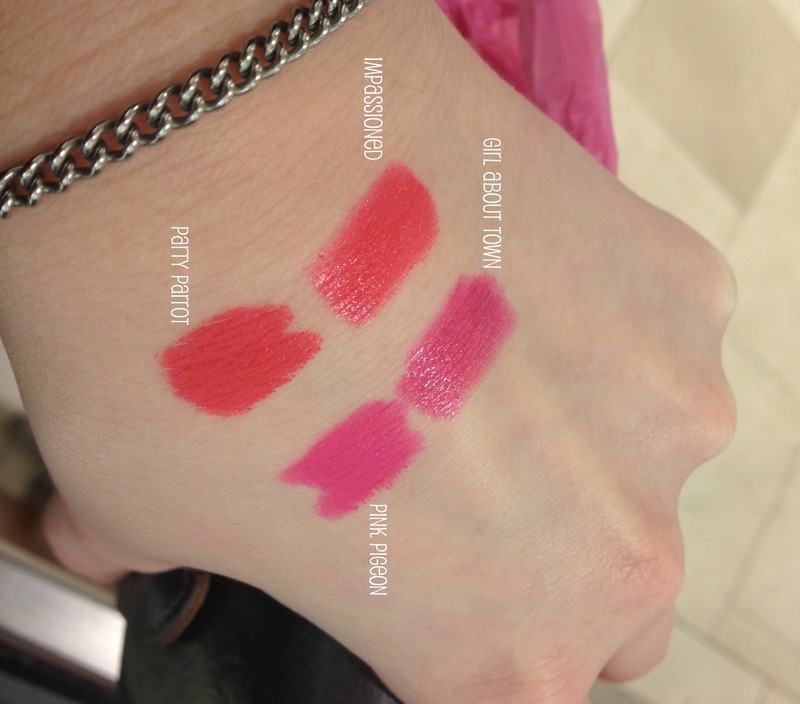 I’d had my eye on Pink Pigeon and Party Parrot and fully expected they would be joining my already bursting collection of lipsticks, but one swatch and that all changed. They both looked terribly familiar. Being the kinda girl who has an entire drawer full of lipsticks each a semi-tone (is that a word?) lighter than the other I was determined that this time I wouldn’t end up purchasing near identical shades so I popped over to the regular lipstick collection and had a look. Sure enough Party Parrot is a Matte dupe of Impassioned and whilst not identical, Pink Pigeon is a very similar Matte shade to Girl About Town. 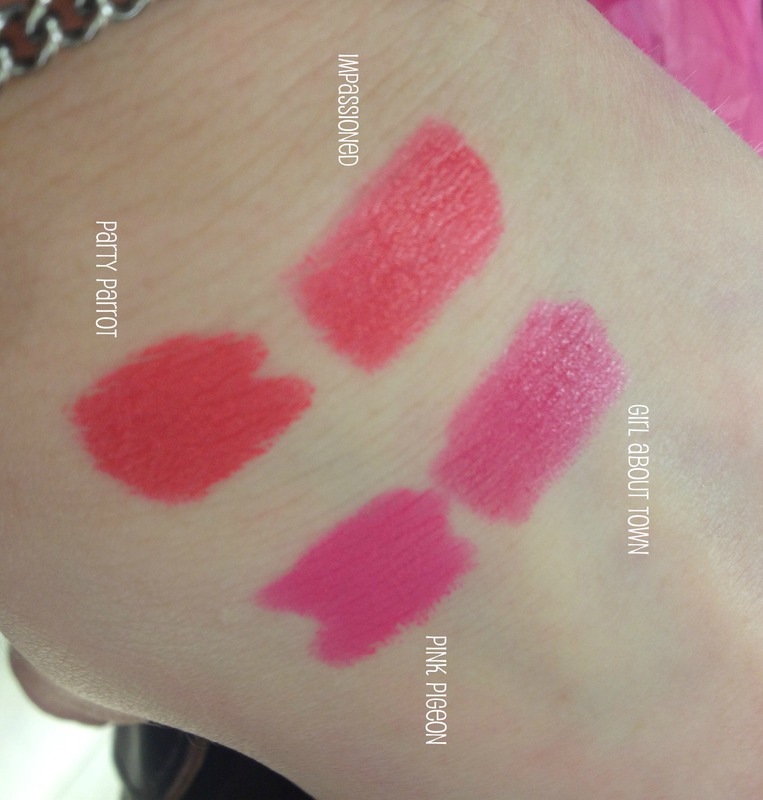 MAC describe Party Parrot as a Bright Red-Pink compared to Impassioned which is described as an Amped-up Fushia. Pink Pigeon is referred to as a Bright Cleanest Pink compared to Girl About Town which is a Bright Blue Fushia. *That said, I’ll probably end up picking them both up in a moment of limited edition panic buying!